Despite the best efforts of the UK parliament, great uncertainty remains as we approach 29th March 2019, particularly for business. 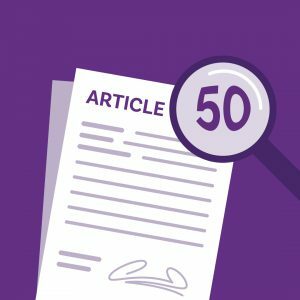 Although the UK could leave the EU with “no deal” in less than a month’s time, you do not need to be unduly concerned about maintaining your IP rights. SH&P has taken suitable steps to ensure no last minute action will be required. When the UK exits the European Union, whether by negotiated deal or no deal, all registered European Union Trade Marks (“EUTMs”) will be automatically extended to the UK. These “cloned” registrations will be referred to as “comparable UK trade marks” and are created automatically with no official fee to pay. SH&P will notify our clients upon creation and input details in our records at no cost. It is possible to opt-out of the creation of new UK rights provided that the “comparable UK trade mark” has not been used in the UK on or after Brexit day, is the subject of an assignment, licence, security interest or other transaction or if it is relied upon in proceedings. For pending applications it will be possible to maintain rights in the UK by refiling via the UKIPO. There will be no loss of priority provided this is done within 9 months of the UK’s exit from the European Union. Such applications will be examined under UK law and will be subject to the usual acceptance criteria and processes. The standard UKIPO official fee will apply. In order to minimise our clients’ cost exposure, SH&P will only make a nominal charge of £200 per refiling irrespective of the number of classes involved. As long as no objections or oppositions are filed a nominal prosecution fee of £50 will then be charged on registration. It is possible that newly created cloned UK registrations will require renewal if the corresponding EUTM renewal date falls within the first six months after Brexit. Unfortunately this requirement cannot be avoided through early renewal. In such cases, we will notify you of the relevant date and associated renewal fees. The UK has confirmed that provision will be made to create equivalent enforceable registrations in the UK for existing fully published Registered Community Designs (“RCDs”). These rights will retain the filing, registration, priority and renewal dates of the corresponding RCD. As with EUTM’s no charge will be made for the creation of these “comparable UK designs” by the UKIPO or SH&P. It is possible to opt-out of the creation of new UK rights provided that the “comparable UK design” is not the subject of an assignment, licence, security interest or other transaction or if it is relied upon in proceedings. Where an RCD is pending at the date of exit, Applicants will be afforded the opportunity to refile via the UKIPO. A 9 month refiling window will also apply with the standard UKIPO official fees payable. The SH&P service charge for refiling will be will be significantly discounted (£175) irrespective of the number of designs claimed by the application. Unregistered Community Designs are governed by EU legislation and are completely separate from the UK unregistered design right. The UK government will ensure that all unregistered Community designs, existing when the UK exits the EU, will continue to have effect in the UK for the same legal duration. The European Patent Office (EPO) is not an EU body. As such, the procedure for obtaining European patents is unaffected by the UK’s exit from the EU whatever the circumstance. The UPC will not come into force due to a failure to secure unanimous ratification. If the UPC does comes into force the UK will be required to negotiate whether it is possible (or desirable) to be party to the unitary patent system. In this scenario, The UK may have to withdraw from the unitary patent and the UPC but both would remain available to UK businesses via contracting EU countries. However, specific UK protection would need to be secured by means of national or EPO patents. Although possible, it is highly unlikely that the unitary patent system will be in place by 29th March 2019. However, the UK Government has given assurances that any existing unitary patents will extend separately to the UK automatically. It remains to be seen whether UK attorneys will retain the right to practise before the EUIPO. Discussions are ongoing amongst interested parties in this regard. Whatever the outcome, you can rest assured that SH&P has taken suitable steps to ensure we will continue to provide a full EUIPO filing, prosecution and maintenance service at no increased cost. If the UK leaves the European Union by means of a negotiated agreement, a transitional period will immediately come into force. Based on the current time line this would run until 31st December 2020 but could be extended up to 31st December 2022. During the transitional period all existing arrangements between the UK and EU would continue to run. This includes IP legislation. On this basis there will be no need to adopt a change of strategy for maintaining IP protection in the UK and EU during the transitional period. In the event of no deal, no action will be required in relation to existing registered EUTM and RCDs. The UKIPO will automatically notify IP rights holders or their legal representatives when “cloned” registrations are created. All such rights will be entered into SH&P’s records and will be monitored in the usual way. It will be necessary to refile any pending EUTM or design applications via the UK IPO if protection is required in the UK post-Brexit. However, there will be no immediate urgency to do so given the 9 month sun rise period permitted for refiling purposes. Nevertheless, SH&P will be providing all clients with advance notice of any pending EUTM or RCDs where refiling may be needed to maintain UK rights should a cliff-edge Brexit transpire on 29th March 2019 or at any subsequent date (if the Article 50 deadline is extended). If you require any further information at how BREXIT effects your business, please contact your usual SH&P contact or via mail@shandp.com. From the outset, we have encouraged clients to continue use of EU IPO registration services since the risk of any loss of rights post-Brexit is extremely low. On this basis, we advised that it was not necessary to refile existing European Union Trade Marks (“EUTM”) or Registered Designs (”RCD”) unless there were specific reasons for achieving absolute certainty ahead of 29th March 2019. This remains the case. However, with the anticipated exit date approaching, and the shape of any final exit deal far from clear, we think our clients would now benefit from additional guidance. Below is a summary of the UK Government’s latest position on existing EUTMs/RCDs and the anticipated procedures for maintaining such rights in the future. There is still great uncertainty as to the nature of the final deal and when it might come into effect. Withdrawal from the EU is only the first part of what promise to be extended negotiations on bi-lateral trade agreements and legal arrangements. Fortunately, the UK government has been resolute in confirming that any exit deal negotiated with the European Union will not adversely affect the legal scope of existing EUTMs and RCDs. This is welcome news. For registrations, upon exit from the EU, the UK IPO will create equivalent UK national rights mirroring the existing EU counterpart. These will be created automatically at no cost to the brand owner. SH&P will incorporate these changes within our records system as soon as the final negotiated deal is confirmed. You can be confident that come the UK’s exit the information held in our records will accurately reflect your portfolio. It remains to be seen how the issue of pending applications and open contentious cases at the time of the UK’s exit will be addressed. For applications, the current draft deal proposes that the holders of EUTMs and RCD’s will have the option to refile in the UK without loss of priority. Such applications will then undergo examination at national level in the usual way. The continued prosecution of contentious matters is less certain because circumstances will differ from case to case. For example, some disputes will be rendered moot if an EUTM has been opposed purely on the basis of an earlier UK right. Further information on the procedure and fees for refiling or ongoing prosecution of pending matters will be made available by the UK government following approval of the final deal by parliament and the EU Commission. Again, official assurances have been given that equivalent UK protection will be created to that stemming from an extant EUTM or RCD registration. The exact process has yet to be confirmed save that the duplicate rights will be made with “minimal administrative burden”. No official fees are anticipated in this regard. In the case of pending applications, trade mark and design applicants will have a sunrise period of 9 months from the date of exit in order to apply for equivalent protection in the UK. This will require payment of the usual UK IPO official fee. Any applications made during this time will retain the original priority date of the corresponding EU application. No official detailed advice has been given in relation to contentious matters thus far. In anticipation of a potential “no-deal” Brexit, we will be reviewing all client portfolios and sending advanced notice of those rights which may require refiling. We will set-out further details of our working procedures and costs for this eventuality shortly. There is a possibility that the Article 50 deadline will be extended for several months to allow the respective UK and EU governments to complete negotiations. This will serve the purpose of maintaining the status quo and, therefore, all existing registered and pending EUTMs and RCDs will continue to extend to the UK. In this scenario, our standing advice is unchanged. Existing EUTM/RCD holders need only refile in the UK if it is desirable to rule out any uncertainty in lieu of the final exit. At whatever point we leave the European Union, our clients can be confident that SH&P will continue to provide a full range of filing, prosecution and maintenance services before the EU IPO at no additional cost. If you require any further information about how Brexit affects your business or, for that matter, any other IP related issue, please get in touch with your usual SH&P contact or via mail@shandp.com. 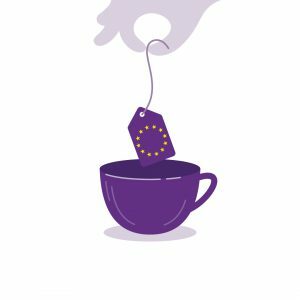 The UK’s exit from the European Union will have a significant effect on UK business practices and legislation including intellectual property. The next two years will be clouded by uncertainty as negotiations between the UK and Brussels continue. There is no precedent so we are entering into unknown territory. During the negotiation period, SH&P will be providing ongoing guidance on how best to maintain and secure effective UK and EU IP rights relating to both existing and future projects. In conjunction with the likes of the Chartered Institute of Trade Mark Attorneys (CITMA), Chartered Institute of Patent Attorneys (CIPA), International Trade Mark Association (INTA) and the UK Intellectual Property Office (UKIPO), we will lobby both the UK Government and European Parliament to ensure that a suitable mechanism is put in place which allows legal rights secured under existing laws to be maintained in the UK after it leaves the EU. We cannot predict the final outcome of the UK’s negotiated withdrawal from the EU. However, we can reassure our clients that SH&P will remain on hand to advise on all aspects of EU IP strategy both during Brexit negotiations and beyond. With over 100 years involvement in the UK intellectual property field, SH&P is no stranger to change. Whatever the outcome of the exit negotiations, we will continue to offer the same high quality representation before both the European Union Intellectual Property Office (EUIPO) and European Patent Office (EPO) at competitive rates. Whilst change is inevitable in the longer term, for the time being it is business as usual for UK Plc. The referendum decision has no impact on the UK’s relationship with the EPO. The EPO is not an EU institution and is independently governed by the European Patent Convention. The UK will remain a member of the EPC and SH&P will continue to represent applicants before the EPO irrespective of the EU exit negotiations. European Union Trade Mark (EUTM) and Registered Community Design (RCD) right protection secured at the European Intellectual Property Office (EU IPO) will continue to have effect in the UK for the foreseeable future. When the UK formally leaves the EU it is highly unlikely that EUTMs and RCDs secured up to that point will cease to have effect in the UK. The likelihood is that the UKIPO and EUIPO will agree on a transitional system whereby existing EUTMs and RCDs can be “converted” into national UK rights. Therefore, for existing EU rights, until the terms of a transitional system are known, owners need not incur the cost of re-registration in the UK. Nevertheless, we appreciate that even a small degree of risk can be unsettling for a business. Our attorneys are on hand to provide strategic advice on the means available to mitigate against any future prejudicial effect on your IP rights, related Agreements and Licensing arrangements, and to minimise your exposure to unnecessary costs. It remains our position that trade mark and design owners should continue to use the EUTM and RCD system for the foreseeable future. We fully expect any EUTMs or RCDs filed subsequent to the triggering of Article 50 to have either full or transitional legal effect at the point of the UK’s formal exit from the EU. There are a number of options and scenarios presently under consideration in this regard. 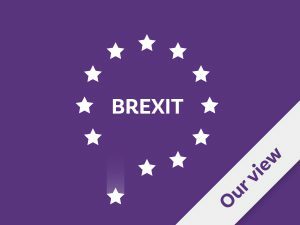 The implications of Brexit will be actively considered as part of any work we undertake on behalf of our clients in relation to UK and EU IP matters.